Since the camera’s invention in 1816, photographs have become vital to memory and historical explanation. By the faculty of a camera alone, one may now see history as well as read it. It is because of the interlacing process between captured image and moving history that the question of memory has become particularly salient, for in a world where “seeing is believing”, photographs furnish the evidence desired when doubts persist. There is no gain or object to debate that in this digital new age, photography operates as the vehicle to satisfy the needs and ways through which we connect with, and perhaps may begin to understand, one another. Indeed, photography has developed into a commerce between Art and Truth. What meanings do people lend to their conditions and experiences in the city? How do migrants (moving in and out) shape and re-shape the structures of a city and its cultural landscape(s)? How can photographs tether home and place as realities for a body constantly being forced to move, to (re)adjust, to maneuver? And if home is a space that can be re-imagined and re-constructed, to what extent does, or can, memory aid in this process? Adopting a qualitative methodology in examining everyday lived realities, this course seeks to first establish photography as a vessel of knowledge through which can be carried across time and space; that it contains a profound and abundant epistemology for a credible study worthy of pursuit and of examination as much as intrigue. Secondly, this course will demonstrate photography’s predominant theme of the presence of the absent (or the absent made present) and how it is a history of its own making. It is through this history that we may verify and explain historical phenomena such as diasporas, genocides, settlements and projects, movements and revolutions. Thirdly, we will speculate how photography allows for history to be “seen” as a project of visual imagination as much as “read” as a particular kind of literature; for visualization has always been entangled between the historical and the memorial. Expanding onto a global scale - examining cities across walls and borderlines - this course aims to transcend the city first as a condition of subjectivity before an object of analysis. We will consider authors like Claudia Rankine and her poetic and visual masterpiece CITIZEN and Zlata's childhood diary during wartime Bosnia published into a novel; in addition, we will review photographers like Richard Misrach's and his post-Hurricane Katrina portfolio work titled "Destroy this Memory" and Donna DeCesare and her various projects centering Central American migrants and their everyday lives. Having emigrated from Egypt to the United States in November of 2005, I am now a third-year undergraduate student studying English Literature at the University of California, Berkeley. I am personally invested in a myriad of art forms because it is necessarily through Art that we can meaningfully study history, religion, science, language, ourselves and each other. I bought my first and only camera in April 2018 before I returned to Egypt, following a 13-year hiatus. 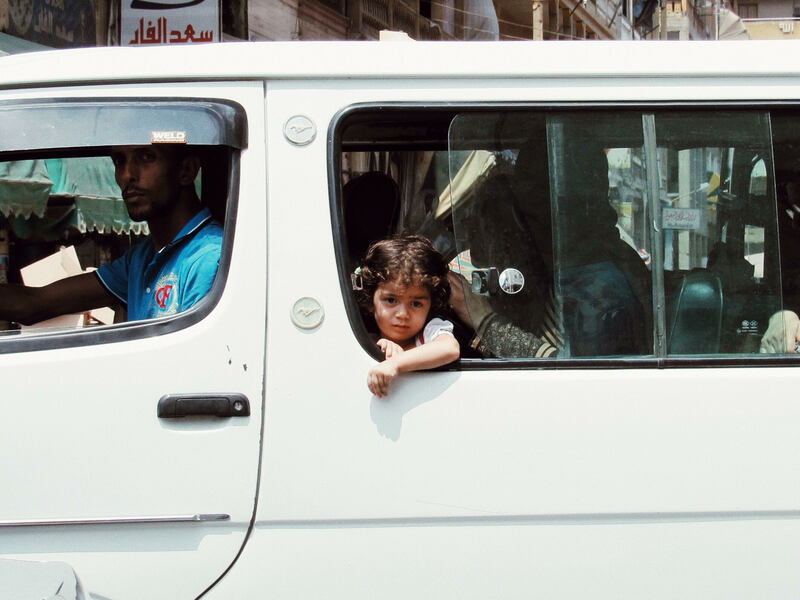 I photographed the cities of Egypt, its dwellers, its broad structures and fading colors. Photography is an art of memory. It is the intentional act of detaining a moment at a particular time from which can no longer be retrieved. It is because of photos that the question of memory has become particularly salient, for in a world where "seeing is believing", photographs furnish the evidence desired when one lays doubts. This practice is almost similar to that of writing, the inscription of moments to be remembered and re-lived. The more I practice with this instrument, the more I understand that the art is in the telling of the story as much as the story itself. With this course, in combination with my passion for education and aspiration to one day teach, I hope to intersect the written and the visual more clearly for myself as much as for others.